Domestic abuse is a pattern of hurtful behavior used by one partner to systematically control and overpower the other. There are varying forms of intimate partner violence and though the causal nature may be the same, the manifestation of it can look different in various relationships. Domestic abuse often escalates from threats and verbal abuse to physical and sexual violence and even murder. And while physical injury may be the most obvious danger, the emotional and psychological consequences of domestic abuse are also severe. No one deserves this kind of pain—and your first step to breaking free is recognizing that your situation is abusive. 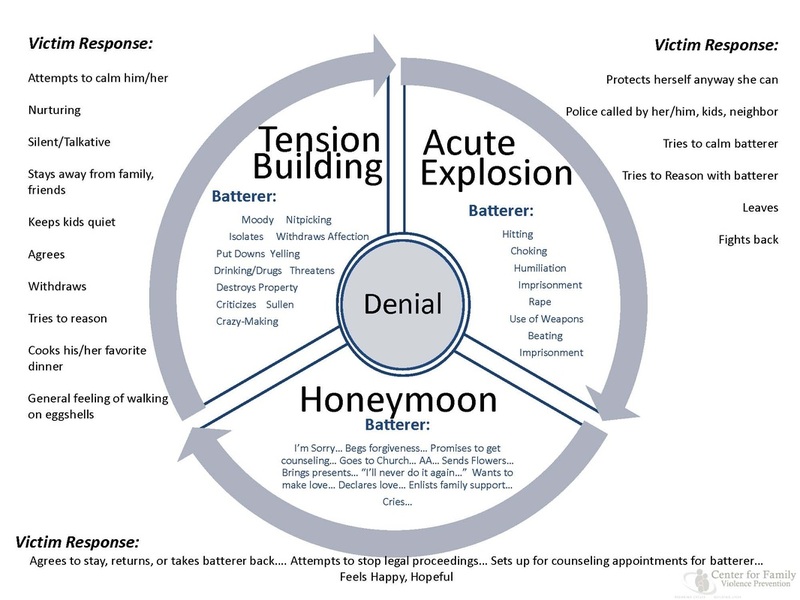 Once you acknowledge the reality of the abusive situation, then you can get the help you need. The time in between incidences of violence may stretch out over days, weeks, or even months. If the frequency of violent occurrences increases, this is an indication that the abuser is escalating and the environment is becoming more dangerous for the victim.